To aid in the vocation discernment process, Saint John's Abbey offers the assistance of Vocation Guides. Similar to Spiritual Directors, Vocation Guides listen to the story of your spiritual journey so far; reflecting with you on your religious experiences, your hopes for the future, and the challenges you face in your faith and discernment. A Vocation Guide introduces you to the monastic life and spirituality, ensures that you are aware of relevant retreats and spiritual development opportunities, and may recommend exploring particular discernment paths. Questions surrounding vocations discernment are numerous. What does it mean to be a monk, a priest, married, or to commit to a single life? 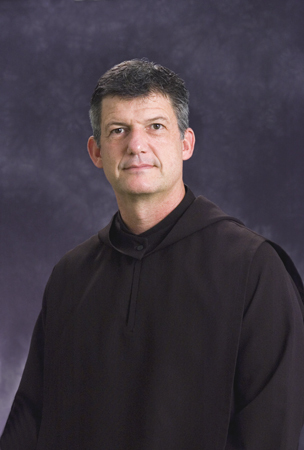 What is the spiritual discipline of a monk, a priest, or of the laity? How does your vocation relate to the Church and the community? What does the modern world except from monks, priests, married men, or single men representing the Catholic faith? Unlike a Spiritual Director, a Vocation Guide focuses on vocation discernment in particular, and your work with a Vocation Guide is much shorter and more focused than the long relationship you form with a Spiritual Director who walks with you for a short time, or through your entire spiritual path. We recommend that you select a Vocation Guide that will fit your personality and spiritual needs. Like your Spiritual Director, you should feel comfortable with him and trust your Vocation Guide with the story of your relationship with God. Some look for Vocation Guides who will challenge them intellectually, or provide them with new spiritual resources; others seek a Guide who has similar interests and experiences; still, others would rather have a Vocation Guide selected for them. Any way you decide, you are always free to request a different Vocation Guide if you feel that you are not progressing with your current Guide. Professor of music at Saint John's University and the College of Saint Benedict; Performs throughout the United States and abroad; President of Saint John's University from 2009-2012. B.A. History, Princeton, 1971; M.Div. Saint John's University School of Theology and Seminary; Ph.D. Medieval Studies, Yale University. © 2018, Saint John's Abbey. All rights reserved.